Me and My Thoughts: Summertime! I'm back with a couple more projects to share with you. 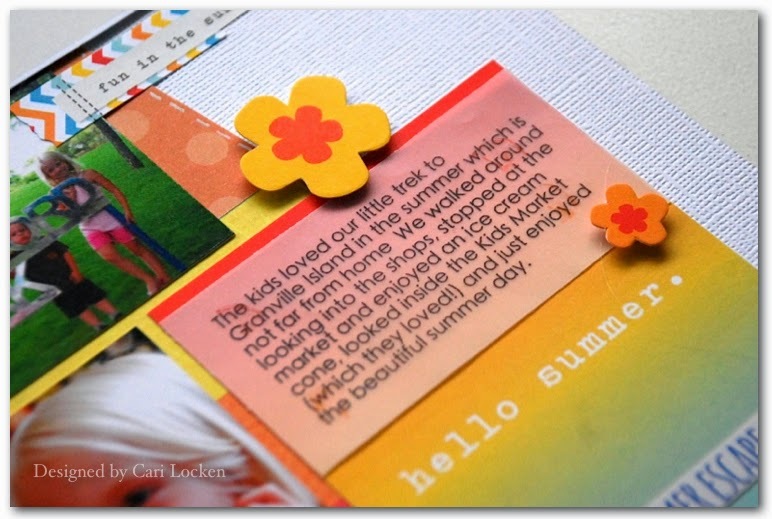 Both can be found in the Canadian Scrapbooker Summer issue - that's just hitting the stands now!! 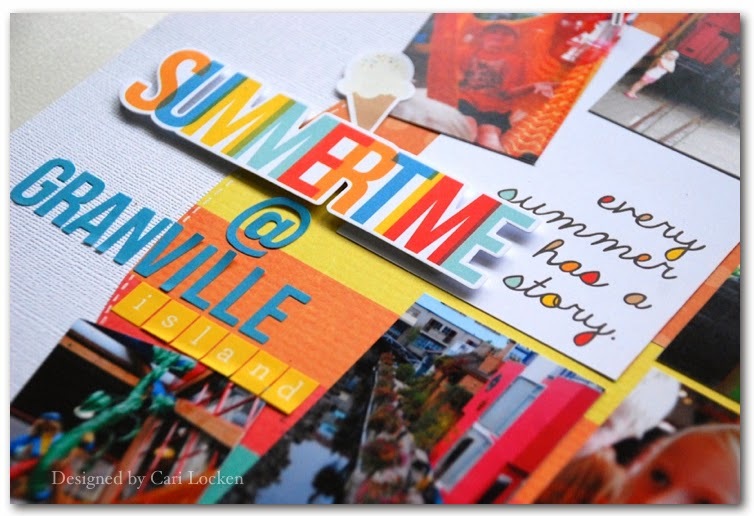 This first project is another layout that I created using Simple Stories "Summer Paradise". It's a small collection but just perfect for all your summertime photos! These photos are from a few years back but the colours worked together wonderfully. 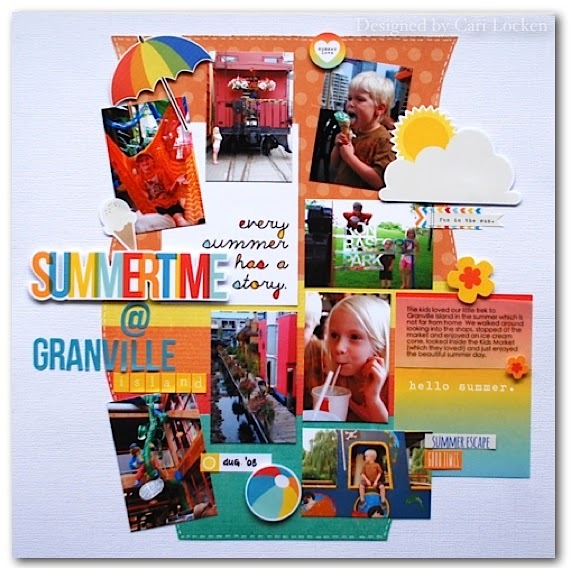 I love how all of the embellishments (stickers, die cuts) all work together and match! Love thaT! 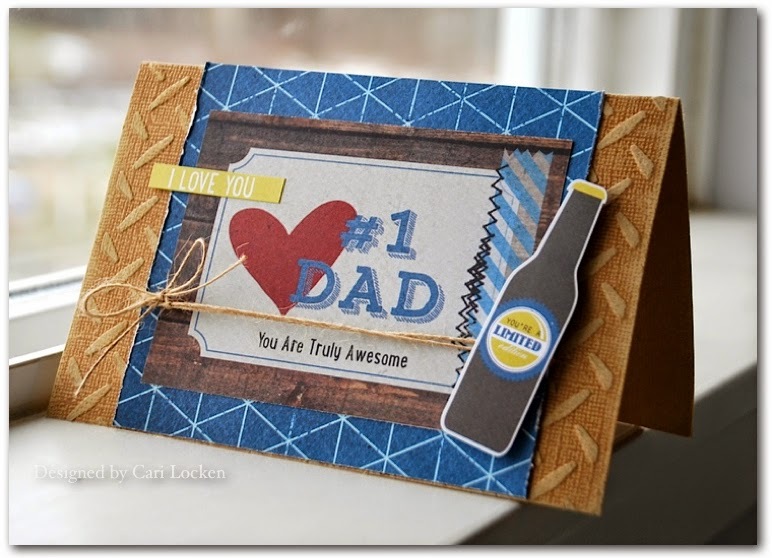 And here's a Father's Day card - now I'll be ready on time this year!! I used some Core'dinations Cardstock and embossed with a 'metal' design embossing folder. 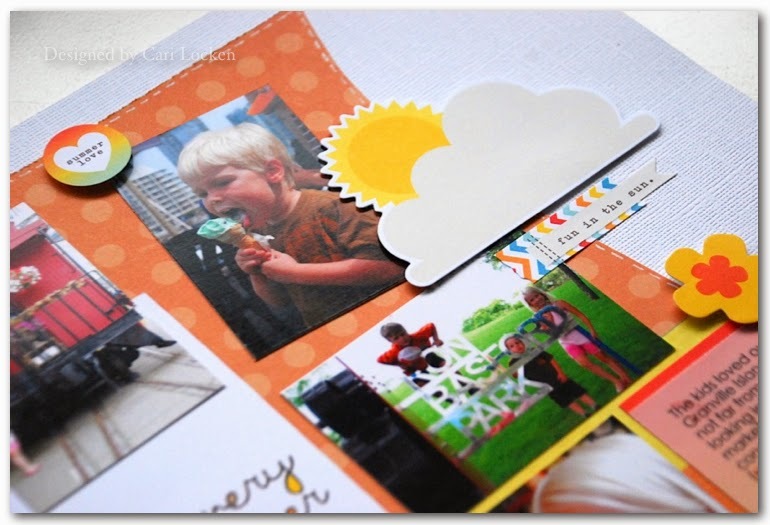 I then added some Simple Stories ("Hey Pop" collection: patterned paper, cards and stickers). Once again everything works together so nicely PLUS I just love the designs.